GETTING READY to be “SLAPPED” AGAIN! I am the daughter of two great science fiction authors, prominent from back in the day when sci-fi was truly a prophetic voice of social criticism and environmental portent. 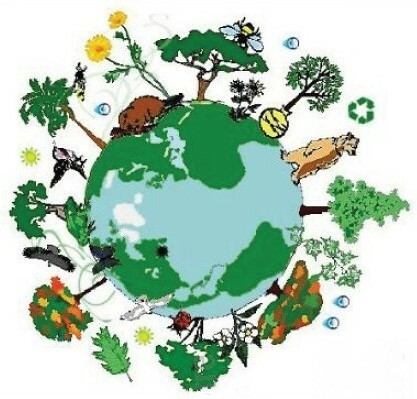 Much of their generation’s work focused on the destructive nature of certain types of human society and activity, and how humans’ prejudices and attitudes interfere with banding together to protect our Mother Earth. So I was raised to be an activist or a writer, or both. 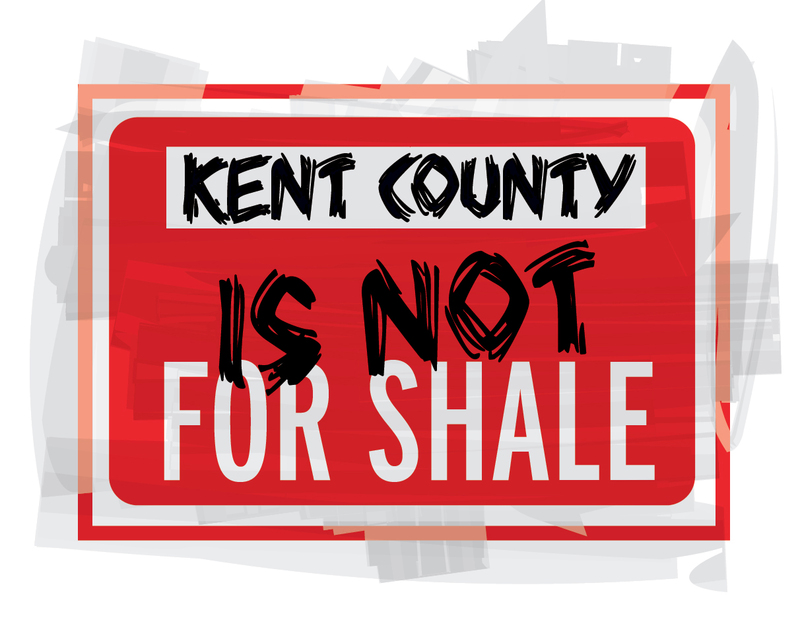 For the record, I was involved in a lot of unified, non-violent earth-protection (aka “protest”) activity in 2013 here in Kent County. I also was not involved in a lot of what happened, because I work a fulltime unrelated job and need to sleep and eat sometimes. But I almost always knew what has going on and where. And I trust that my allies were all determined to protest non-violently. Our goal was to prevent shale gas fracking from destroying our drinking water, the health of people in our diverse communities, the value of our properties, and the natural environment that sustains us all. If for no other reason, it is worth reading this top secret RCMP report to see how dinosaurs might have been thinking – or failing to reason — just before they went extinct. The RCMP report is completely wrong-headed. They miss the point entirely. 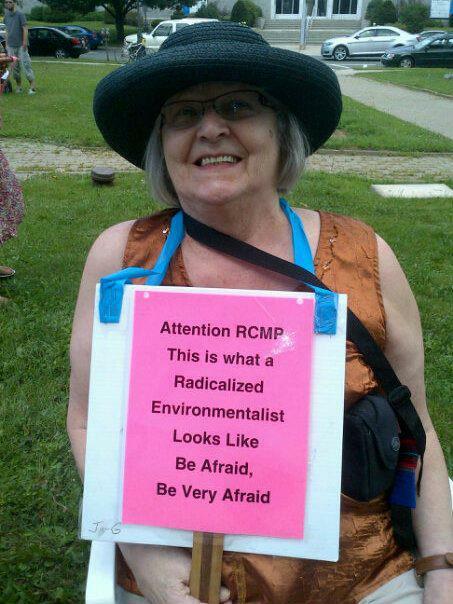 On pages 1 and 2 of RCMP report (see link above) it is stated that activists like me “assert” that “climate change is now the most serious global environmental threat.” Point taken: yes! It is also true that “extremists” like me “believe” that “climate change is a direct consequence of elevated anthropogenic greenhouse gas emissions… directly linked to the continued use” by human beings, and dirty mining technologies “of fossil fuels” industries. The RCMP report never acknowledges the valid science contained in this IPCC report. 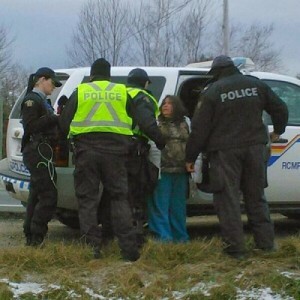 Instead, the RCMP persistently couches any reference to climate change as an “assertion” or “belief,” inferring that we (activists, earth protectors) are not being rational. 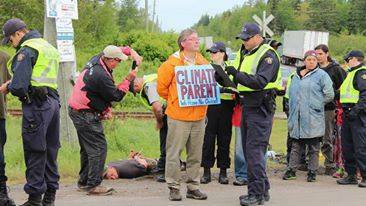 Given the RCMP’s significant omission of valid science on the core cause of our protests, their position is discernibly climate change denialist. In fact, the impact of fossil fuel extraction from tar sands and through shale gas fracking does directly contribute in geometric proportions to climate change. Along with a host of related issues, like wanting to protect ourselves from this extreme industrial pollution, this is why we protested and will do so again if need be. Bill C-51 is the knock-out punch for troublemakers like me, or so they seem to hope. The government says this Bill is about stopping terrorism, but in fact Bill C-51 is really about stripping indigenous rights activists and environmental protectors of all our charter guarantees and other rights established by case law precedent. As you can hear in Evan Solomon’s Power & Politics show (cue to 1:43:20), the Bill proposes to make it possible to arrest people like me, my Anglo and Acadian neighbours, and my Mi’kmaq allies. 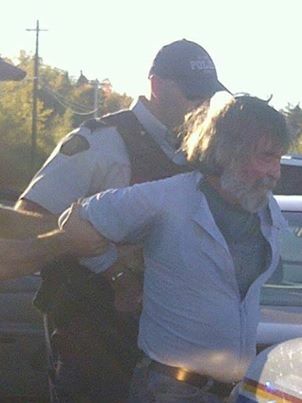 Bill C-51 is being rammed through federal parliament when this blog is being posted. It will ensure that natural resource extraction industries face no impediments Federal scientists have already been terminated or muzzled. Experimental research facilities that could produce information that might provoke concern about the deteriorating state of our environment have been closed. Literacy funding is all but gone, so many Canadians will never have the chance to inform themselves on environmental and human rights issues. The entire country has been stripped of all substantive environmental law protections in previous omnibus federal bills. 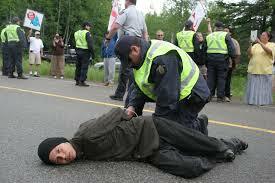 Now, Bill C-51 will mop up the resistors. This will cement profit options for the 1%, as science fiction-style “sacrifice zones” abound throughout resource-laden, rural, indigenous, regions of Canada. 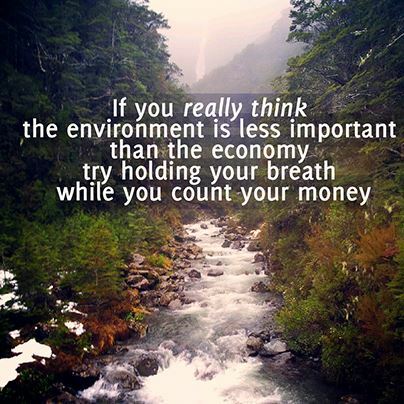 In 2013, we Earth Protectors were right! 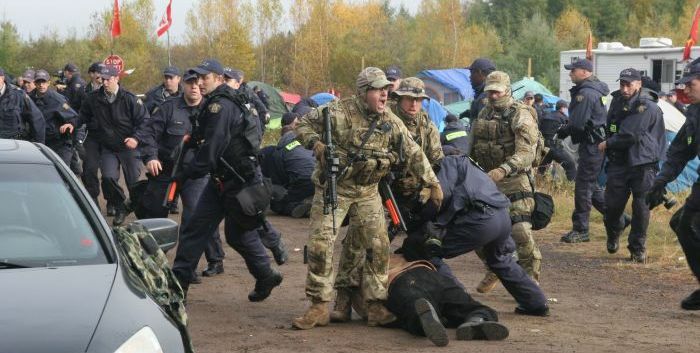 In 2013 here, many earth protectors were harassed and arrested. We were not conspirators. We were seldom coordinated or even organized. We are simply a spontaneous unity of diverse grassroots people whose common interest is to protect our One Earth for ALL future generations. Some of us were actually charged. 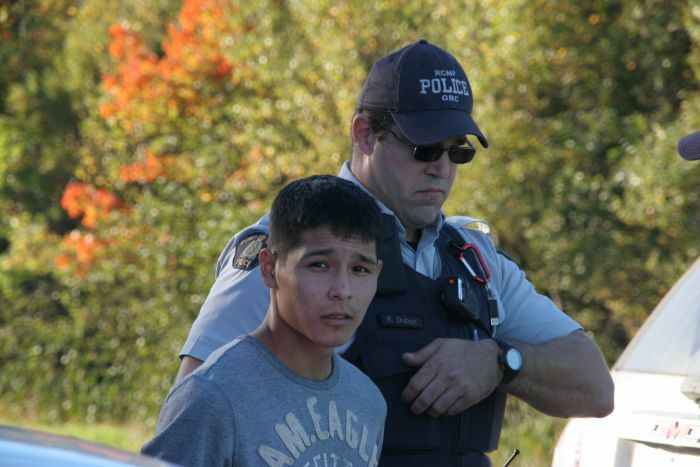 Some of those charged were convicted of relatively minor offences. The most severe punishment was handed out to indigenous activists, who had doubly valid reasons for objecting to the development. 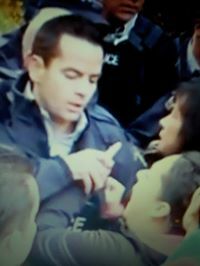 The over-the-top, 9.5M$, and too often brutal, RCMP response to our legitimate protests lasted for seven months and terrorized most local residents. I say legitimate because for several years we had complained that government had not done enough prior research and consultation. 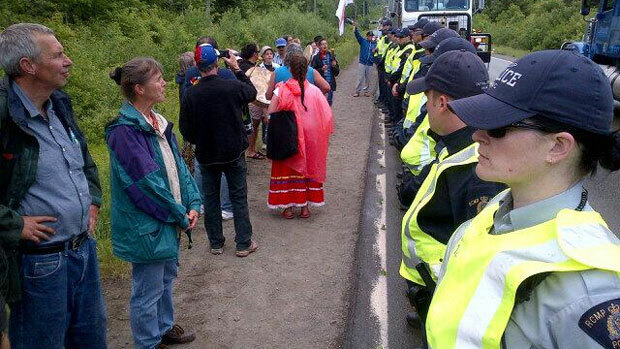 This background checking should have been done before the leases were signed with Big Oil & Gas. 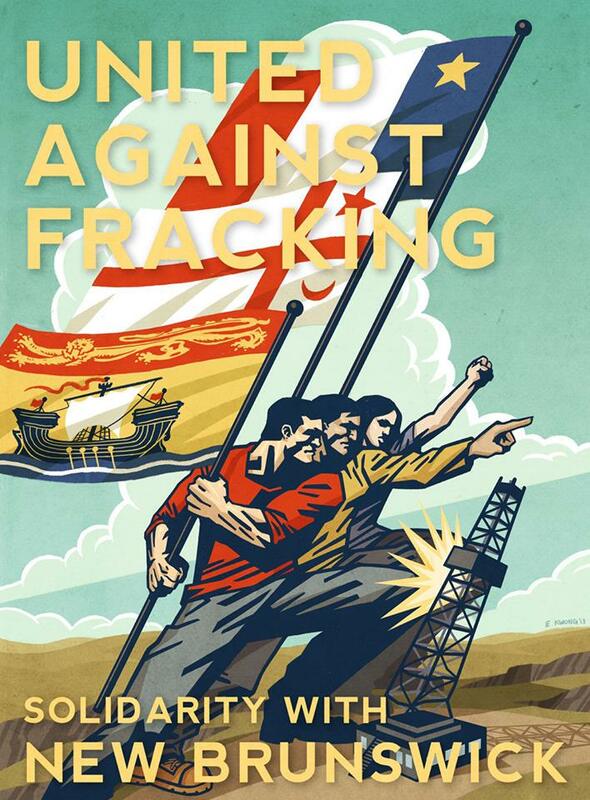 In the September 2014 provincial election, shale gas was the core issue. A new government was elected. After admitting that more research and consultation is needed on fracking, they imposed a moratorium on shale gas industrial development. 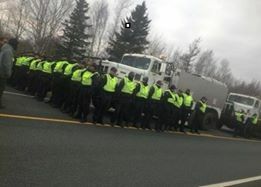 If many of us had not risked arrest for NON-VIOLENT protest that obstructed SWN’s activity, experimental fracking development would already be underway here in Signigtog Mi’kma’ki region. 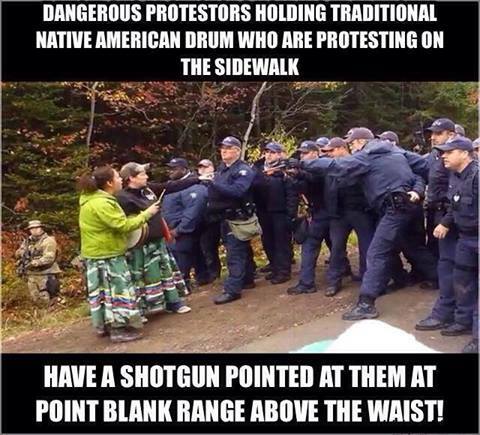 Governments can make mistakes: this is why non-violent protest is such an essential human right. 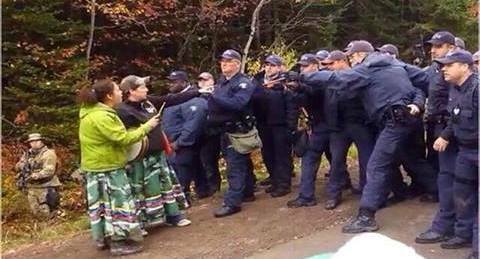 Going back to when the protests were still underway, in October 2013, I was named in the initial SLAPP suit by SWN Resources Canada. SLAPP suits were designed a few decades back, by soulless corporate hot-shot lawyers to scare people who are identified as protest ring-leaders. SLAPP suits name key organizers as responsible for loss of money to the corporation and threaten to seize personal assets to recover these costs. 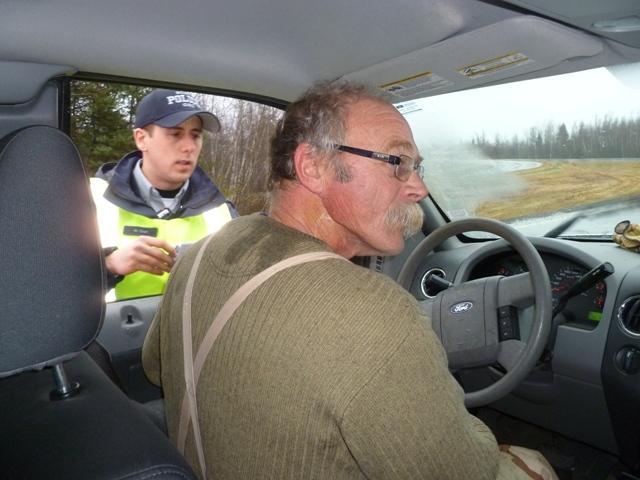 SLAPP suits come with an injunction that says we have to stop being environmental protectors while the matter wends its way through the courts, or face arrest. 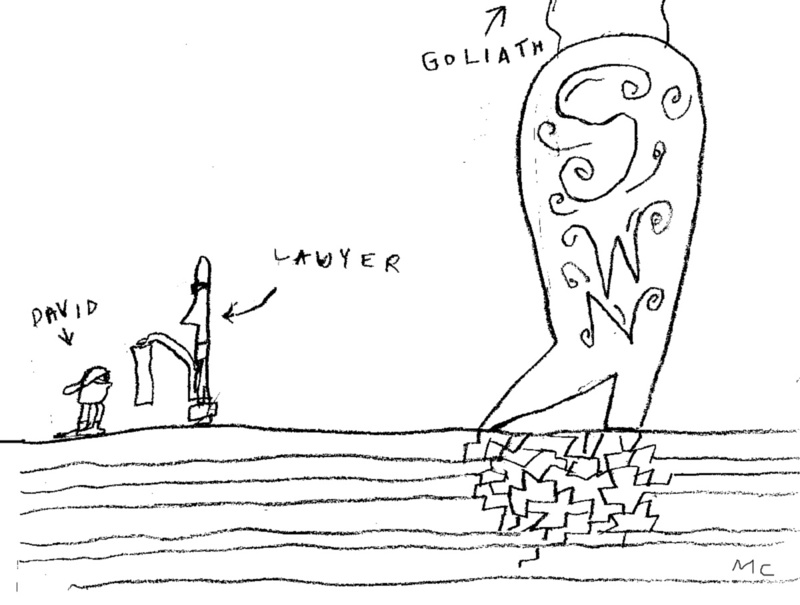 In this 2013 civil action, I am accused of being part of a collective of activists who did all sorts of dreadful things that obstructed their progress, and cost the company a huge amount of money. In my Statement of Defence I refute all their allegations. Actually, SWN’s losses arise from government incompetence: allowing the company to begin exploration work when the government had not done proper prior environmental review and informed consultation processes. The matter is still before the courts: I still could lose what little I own to help the fifth largest Oil & Gas company in North America recover its losses on this job. 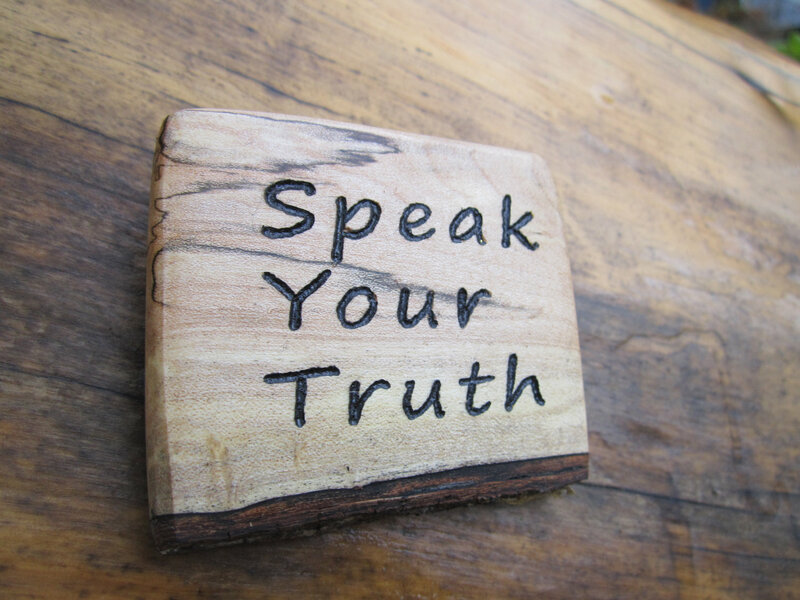 Big Oil & Gas, governments of the day, RCMP secret report-writing consultants, and other climate change denialists realize that the tired old corporate SLAPP suit strategy is not working well any more. Persons being SLAPPED are supposed to get so scared that we shut up, go home, and turn on the sit-coms. It did not work with me. Like many of my neighbours, I am poor. Most of us have little to lose through a suit like this. All of us have a lot to lose by having our drinking water and garden soil contaminated, our rural homes and communities transformed into a mega-industrial zone, and then our district left gasping and dead when the fracked gas dries up in a very few years. The Corporatocracy that is actually running Canada is increasingly anxious: so many emerging economic indicators seem to support a shift away from fossil fuels, and in favour of prioritizing action on climate change. Even former Bank of Canada Governor Mark Carney, now Bank of England Governor, has warned that “fossil fuel companies cannot burn all of their reserves if the world is to avoid catastrophic climate change,” and he has “called for investors to consider the long-term impacts of their decisions.” Ouch! Carney’s concern about climate change must have hurt the Big Boys when it hit the wires services. 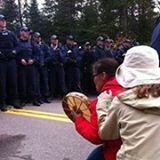 Also, the Supreme Court of Canada clearly ruled in the Tsilhqo’tin decision that Canadian governments cannot use or alter indigenous territory or resources “in such a way so that future generations of First Nations people cannot exercise their rights or enjoy the lands and the benefits that flow” from this territory. 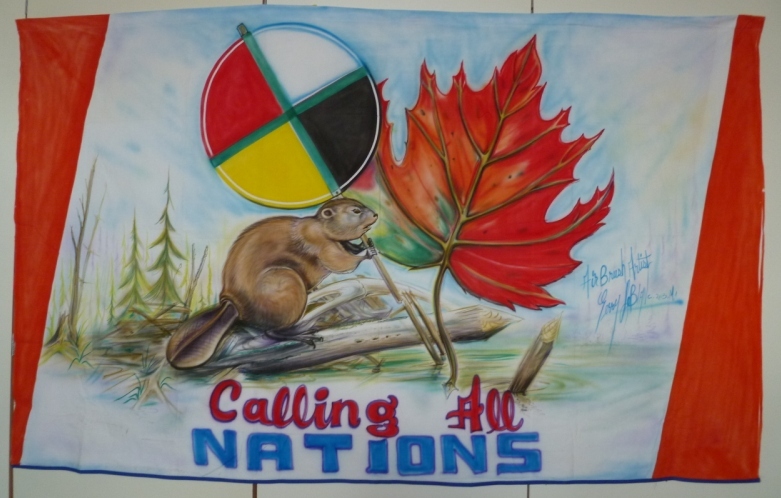 Because the understanding of indigenous territory was also transformed through this decision, is clear that Original Peoples have the right to assert sovereign control IF something threatens their traditional territories, when the Crown’s obligation of free, informed, and prior consent has not been met. In the face of all this, the Canadian Corporatocracy needed a tool that might actually stop this grassroots movement to bring back the future. Instead of doing what we ask – nix on further fossil fuel development, and full speed ahead investment into renewables and sustainable industrial development – they decided to come up with this government SLAPP suit approach. In the Evan Solomon interview, Mi’kmaq lawyer Dr. Pam Palmater calls this agenda the “Trojan Horse” of Bill C-51. 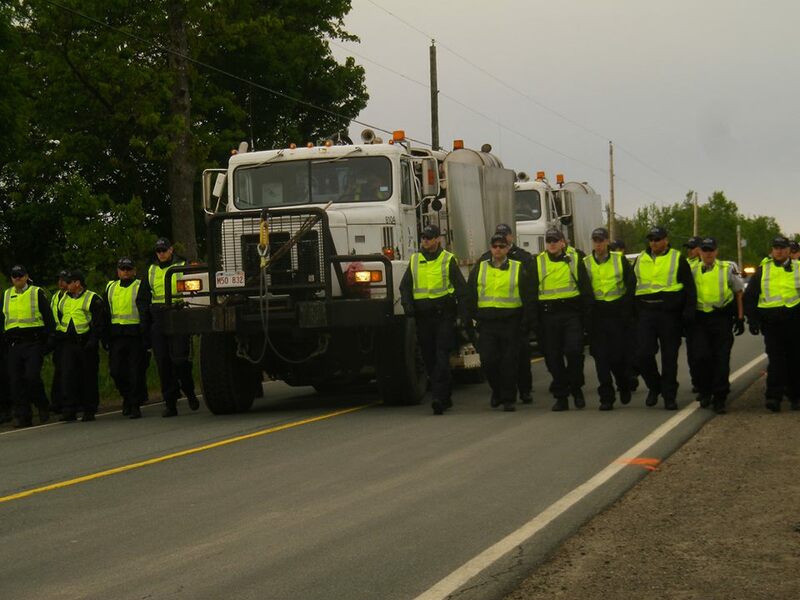 Under Bill C-51 provisions, instead of the corporation threatening to take away what we own, now we will be subject to a law-of-the-land that criminalizes protest to protect our homes, drinking water, communities, health, and surrounding environment. 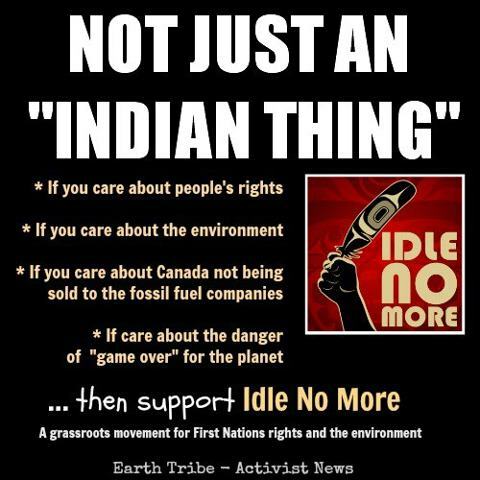 This proposed legislation will make a target of environmentalists concerned with climate change and other petroleum industry side-effects such as ruined water, air and land, as well indigenous rights activists whose territory is “needed” as sacrifice zones for the industry. 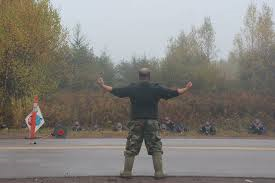 Worst of all will be those of us who straddle both activisms: here in Signigtog, that means me and my close allies. It won’t work. 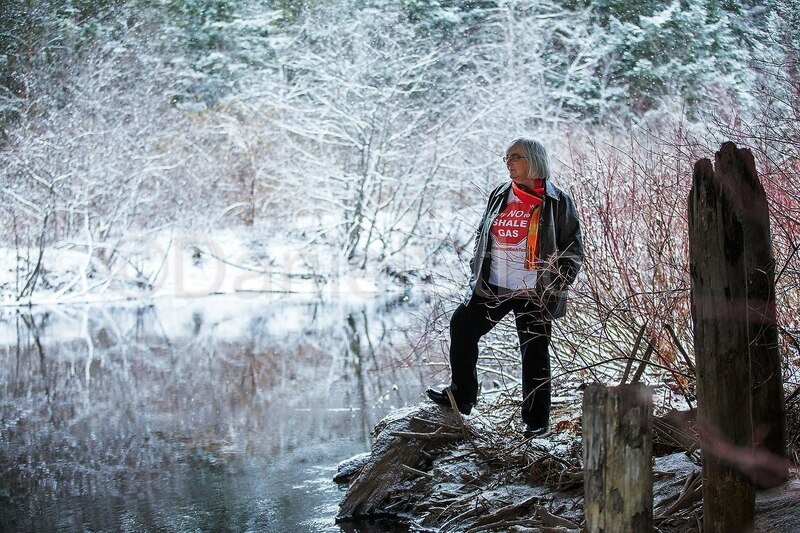 I am a mother and grandmother and I want to protect what is left of our environment for future generations. Most of my allies are guided by the same intense motivation. 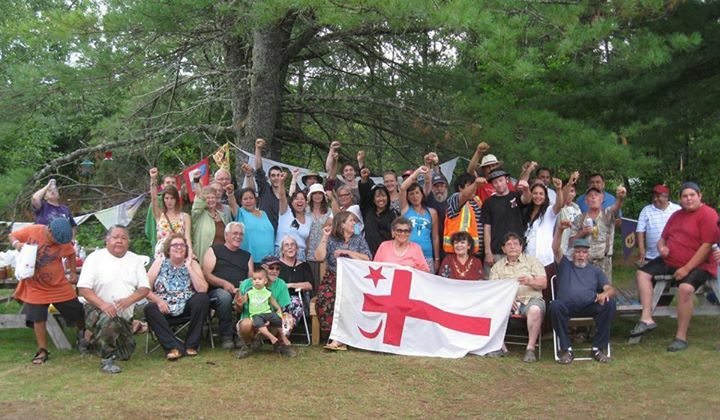 A recent gathering in Halifax confirmed that Indigenous activists opposing Energy East don’t fear proposed anti-terror bill. It will simply clog up the courts. But it does not matter that it will not work. As with the corporate SLAPP action, the Bill C-51 SLAPP approach is not really designed to win. 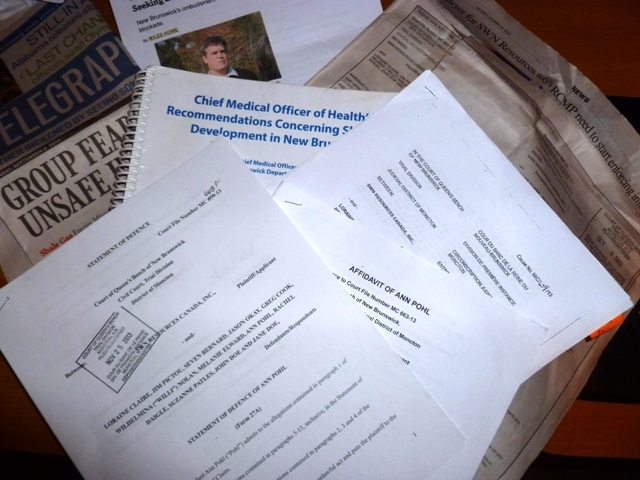 Its intent is to hamstring key activists with lengthy, extensive and expensive legal battles. Eventually, when a case finally reaches there, an appeal to the Supreme Court of Canada (SCC) will uphold our human rights and the law will have to be changed. There seems to be just one little problem with pinning our hopes on the SCC… I hope I am mistaken in this, but I also understand that Bill C-51 allows people to be held for exceptional periods of time without a charge. I imagine it would be difficult to launch an appeal to the Supreme Court without a charge first being laid and heard before the courts. 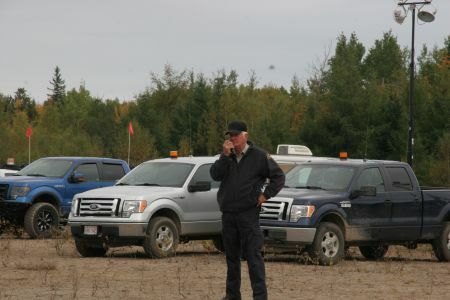 Right here, close to home, the Civilian Commission is investigating the actions of the RCMP during the anti-fracking protests here in Kent County in 2013. 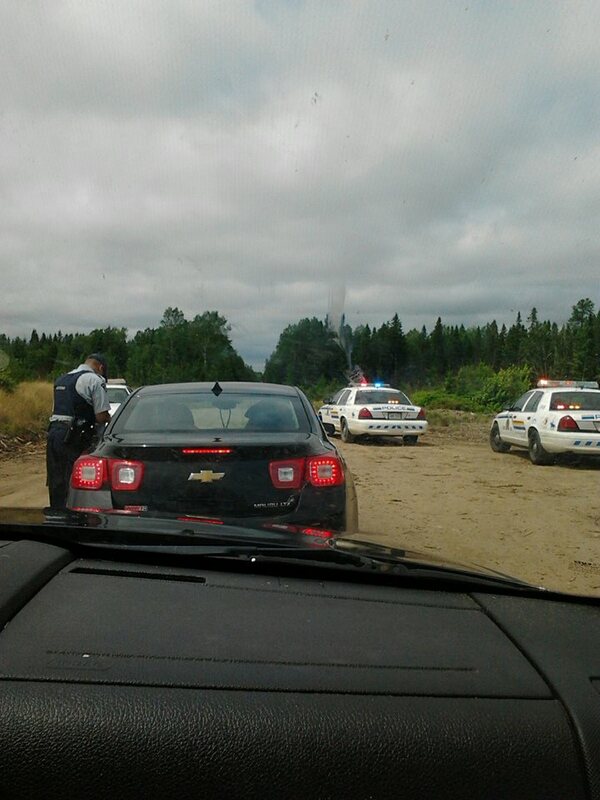 In addition to many other matters, the Civilian Commission has been speaking with complainants who say that RCMP actions, policies, planning, and internal directions are directly responsible for the violence that took place in Signigtog region of Mi’kma’ki (Kent County, NB). 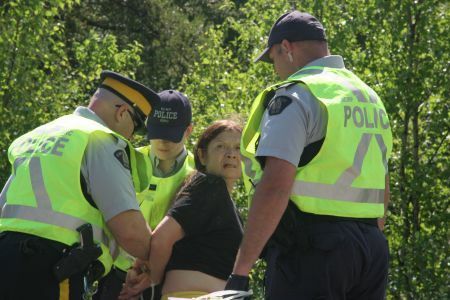 This investigation will produce a report that offers a glimpse into the climate change denialist and fossil fuel boostering backrooms of Canadian governments and their handmaiden RCMP troops. By clicking here, you can find the Notice of March 14-15-16 Meetings of Civilian Commission into 2013 RCMP Activities (it can take a while to load). These will be held in Rexton, in Saint Louis, and then in Moncton, and storm dates are provided. I hope many of us are able to get out to these meetings. 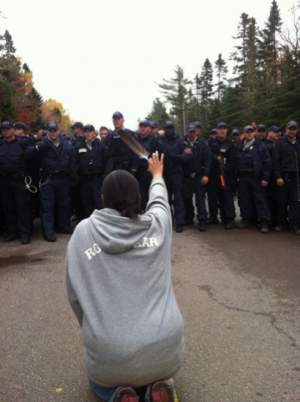 This is your entry point to meet the Commission staff and arrange to share what we saw and/or experienced in the woods and on the roads in 2013, re: oppression of non-violent dissent to protect our environment. 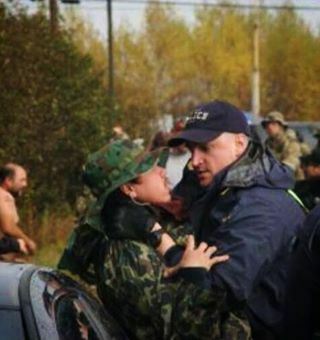 It would be wonderful if some of you have time to read through the leaked RCMP report. You could make use of the opportune timing of these meetings to counter some lies told about us and our allies. We have only one planet. My allies and I are very determined: we will do our best to keep it as habitable as possible.